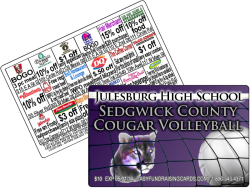 One reason (and there are several) that many churches and non-profit organizations love fundraising discount cards is because they are so easy to sell. Considering that customers can save at a dozen or more local and national merchants for a one year time period after the initial purchase of the card, it’s easy to see why they sell quickly. 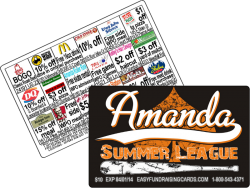 Who wouldn’t want to save on services and goods for the small price of $10? Savings on eating out, hair cuts, move rentals, family activities, oil changes and other services make it a great deal for the customer. There’s really no other product or activity that compares when it comes to an easy sell, minimal preparation, incredible profits and real value to the customer.Some of the deals and bargains you will find on the cards are for an oil change, haircut, the local pizza parlor or even for eyeglasses or the health club. There is literally no limit to what kinds of deals can be placed on these cards, depending on which merchants want to participate. Which brings up another point.